Feeding - What nutrients and how much do cubensis use? Getting my growing-101 notes in order ..
What (major NPK) nutrients do cubensis use during fruiting and how much? Are cubensis sensitive to ec (mineral salt buildup) of water used in feeding? Well, while we're on NPK, they also need a source of carbon :-). OK no one has commented: They need C, N. P and K, usually in the forn of grain and/or coir and/or straw. You don't "feed" them the way you indicate. Once spawned to a substrate, nothing is needed to added. They do like trace minerals. A good bit of calcium. A bit of Mn can help yields. Do you grow weed by chance? My question is for couple of reasons..
1) Building a substrate. Having a good estimate on what mushrooms needs will help me to a better start point to build a good substrate from stuff available to me than just reverse engineer from 'good recepie' from stuff that was available to author. Any knowledge on which is the order from biggest need to smallest on C N P K.
2) to take a hard second look on IF there could be an advantage found in watering/ dumping with nutritious water. People who grow greens (including weeds) in waterfarms are generally left with large amount of high ec water with fair amount of nutrients in it. .. as I like closed loop systems.. I was wondering if mushrooms are picky about ec levels and if there would be advantage in using nutritious (waste)water in watering/ soaking. Still in early early stages.. grain etc would give the option to eat the root system and substrate .. using 'waste' for bulk substrate wold be more closed system (which I fancy) and marginally cheaper. Edited by enomoomi, 22 December 2018 - 10:03 PM. You're not likely to fine the sort of NPKC requires of different species here on Topia. Maybe I'm wrong but that's not how most folks go about cultivation on a small scale, especially with cubes. The only nutrient level we're usually concerned with is nitrogen and only in very coarse terms. 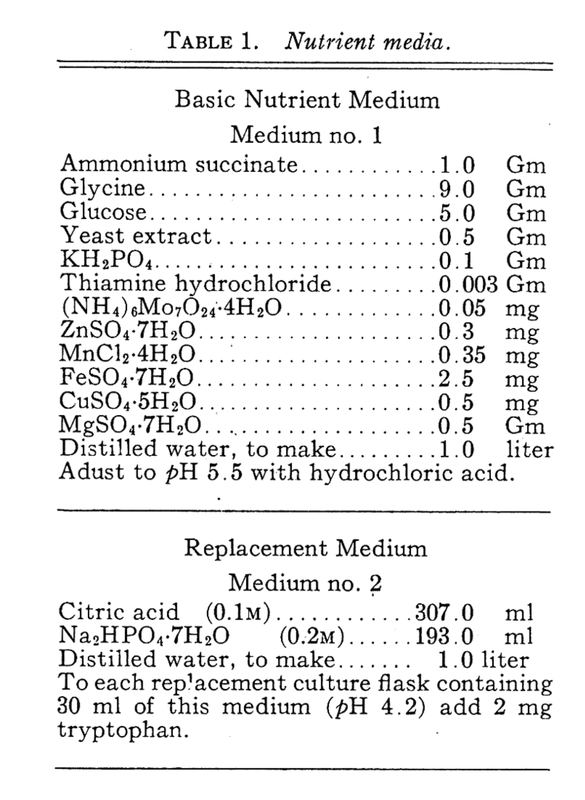 Is this substrate to hot/nutritious to pasteurize in which case I'd better sterilize it. The kind of info you're looking for doesn't really come into play until you're looking at medium to larger industrial folks getting involved. Such information does exist for commercial edible species. You'll have to dig for it but there are papers out there looking at different nutrient formulations for oysters or Shiitake (such as this one). There's a whole range of formulations out there from composted agricultural waste to purely synthetic mixes. However as already stated mushrooms don't really work the same way as plants and those studies might be of limited use to you. NPK numbers of a given substrate won't directly translate to trying to add nutrients via nutrient solution soaks. Fungi can definitely take on nutrients that way (there's been work done on using mushroom beds as filtration devices) but in terms of doing it in a hydroponics type way or as some way to boost your yields its a tricky proposition. Excess nutrients can just as easily be monopolized by competitor molds or bacteria so you might be riding the knifes edge trying. I'm not so sure fungi are going to be that much more stoked on high EC water, especially if you're trying to soak small substrate bricks in it. 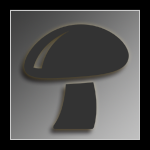 Most of the mycofiltration stuff I've seen involve fairly large patches of something like King Stropharia. There might also be some concern about heavy metal accumulation depending on the fertilizers being used? Mushrooms are real good at heavy metal accumulation. maybe the heat of being under lights and what must be a high humidity just above the water level is a good place/opportunity to grow and fruit a batch of shrooms? just find a way to float, or park on top of the root system, your substrate in a light suppressing container and let nature do the rest? the OP mentions using the nutes left from a hydro grow - why not use them in-situ? Use of high ec nutrient water from hydroponics is a door I wish to explore in academic sense - If all lights are green .. then plausible test run etc. Personally I am still considering two styles.. tek cakes and/or bulk substrate. I do believe (am I correct?) that cakes should be dunken into water after flush (=harvest). I guess bulk substrate need water also - best added after flush (=harvest). With bulk water can (?) be added any time. preferably in small amount as not to disturb substrate. As for bulk substrate.. much will depend on what will be available .. I think I will build compost .. straw would be preferred but I think grass/leaves/other green plant matter will work and provide C for substrate. I think used coffee grounds will be my best option for adding N while building compost. Yes.. extra care must be taken as coffee grounds are premium breeding ground for mold. I read in some thread (lost the thread since) .. that people have reported success in growing with used coffee grounds. I am not certain IF substrate was 100% coffee grounds or high % of coffee grounds substrate. It was commented that many growers that use such method will have success during first grows .. and they will face mold issues down the line (When at some point grow area gets infected with mold .. and with coffee grounds it is very very likely that it will happen at some point). BUT.. if ones bulk substrate gets infected.. and this can happen with any substrate.. dont grower just utter few curses under ones breath and do due diligence extra through cleaning of grow area / substate containers afterwards. I just dont see how the use of coffee grounds would make the continuing issues with mold more likely .. I did read somewhere that substrate mix should be max 20% coffee grounds .. I think this number was for coffee grounds added after composting the base substrate so I think I have an option to go bit higher % on pre compost ration. I do have a book that gives recommendation for compost for mushrooms.. but as I do have different components available.. It is difficult / big margins of error .. when I try to reverse engineer the desired CNPK value for final substrate from compost recepie .. and then make a new recepie to replicate 'good final substrate'. Thanks for pointers and for the conversation.. as I write thins here or on forums in general .. I do have to go through things and double check of my thinking is done automatically .. plus nice people point out errors if and when some pass through. The water may be great for use with composting or hydrating substrates. If its very nutrient rich, you may have issues dunking in it. The mycelium won't accept successive feedings. Hard to get ones head around it, but once a substrate is colonized the yield is pretty much set. Flushes use up water, they never use all the nutrients. Coffee grounds in compost with work fine, if its to be composted to create substrate that will be pasteurized before use you shouldn't have problems. As an additive in the past ive run coffee grounds a second time and used that water to hydrate grains or pf cakes without issue or noticeable benefit. Lots of folks use coffee grounds as a supplement, I always do, but at a small percentage. Basic for me is a brick of coir, (8 quarts or so) 2 quarts vermiculite, 2 cups coffee grounds. About my coffee supplement, I love to recycle what's around me and I drink a lot of coffee, I save the grounds, and save egg shells. Egg shells get crushed and mixed with coffee, all that gets brought to a boil for 15 to 20 minutes, then drained and dried in the oven for storage till time for use. I have no reason to believe its a great method, but it does lower the nitrogen a bit and brings the ph up. That's the problem with coffee grounds, high nitrogen and acidic ph, trichoderma loves it. Nitrogen is one you have to watch, Not exact but you don't want nitrogen over 2 to 4 percent by volume. Thank you for the input on coffee grounds jkdeth! As I have gathered.. Mushrooms use CNPK mostly and various micro-nutrients in minor amounts. If and when things have been done well.. there should be a ton of mykorriza ..so I would gather a very very desirable part of potting mix I would say? correct? even if it is "empty" or without major nutrients.. I gather there is still some use to it .. at least to balance out highly nutritious compost to make soil appropriate strength for plants in question. Back in the days when this place was founded, people were trying all sorts of additives to their dunks. In commercial grows there has been some research into reusing spent substrate. I don't remember the details but I recall fresh substrate with 25 percent spent substrate worked as well as 100 percent fresh prepared substrate. Another area to research is successive grows, first grow a primary decomposed, like oysters or most wood loving mushrooms. Then processing the spent substrate and using for a secondary composer, like cubensis or most dung/compost loving mushrooms. All of it of course makes a compost additive or straight supplement to garden soil. I was about to do a grow in a week or two and show what is possible here, but since it is being talked about.....I have grown Cubensis before with potting mix or coco coir fortified with hydroponics nutrients. I was trying to create a synthetic manure, I found on average manure that was good for Cubensis was around 5% nitrogen. So I used only grow cycle nutrients(high nitrogen), and tried to shoot for a 5% nitrogen concentration. The potting mix and coir add all the carbon needed, and if you think about it, it was always going to work. Both plants and Cubensis love to grow in compost and manure,and they feed off the same mineral nutrients using a remarkably similar mechanism to uptake them. They both use ATP driven proton pumps to push protons out which then creates a gradient across their plasma membranes which pulls an ion from the substrate across it, which also releases energy from the ATP molecule. Punchline; It grows really big mushrooms. I did not get around to eating any of them so cannot say what the potency was like. I can say that I grew a tray of the same iso(PES Hawaii) on cased WBS next to it which produce 1 to 2 inch shrooms, and the hydro ones were nearly identical (just jumbo) they were very healthy specimens and bruised about the same as their smaller counterparts. So I would suggest potency was about the same as the smaller ones, you just get more mushroom. I would also suggest that this could be used for making huge dark prints(also untested). I had some issues with Trich in some runs, but never adjusted pH. Possibly making the substrate less acidic and even buffering would be beneficial. I did not find the upper limit of nutrients, more that was added seemed to just make them bigger. And the research really goes on and on, you can research nearly any ingredient in hydroponics nutrients and chances are they are being tested or have been tested for growing commercial mushrooms. Humic and Fulvic acids look extremely promising! Edited by PistolPete13, 03 February 2019 - 02:12 PM. Thank you so much for the information packed message!! I will be grab a seat if you post a journal. You are completely right regarding knowing what to search for, it really helps as well to remember how search engines work (most people dont think about it when researching). For example instead of searching extremely specific terms, adding a term like 'basidio' instead to your query will bring back results for; basidospores, basidiocarps, basidiomycetes ect ect. I will post a journal, my jars are colonizing as we speak. (20% and running). The effects on their mycelial growth were determined when wood vinegar was added to sawdust medium and PDA(potato dextrose agar) on which Flammulina velutipes, Pleurotus ostreatus and Hypsigus marmoreus were cultured. The concentration of 0.07% crude wood vinegar showed the optimal mycelial growth of them. At the concentration of 10% wood vinegar, mycelial growth of Trichoderma harzianum was completely inhibited on the fifth day. These results presented that wood vinegar could be used as fungicidal agents for sawdust and rice straw cultures of edible mushrooms.